Our travels began and ended on Shabbat—the Jewish Sabbath or day of rest, a strong tradition observed in many parts of Israel except by secular communities and people. But you wouldn’t notice this much in areas in and around Tel Aviv, our travel hub and where we spent our first 24 hours in Israel. To describe Tel Aviv, liberal and international come to mind—very different from Israel’s more conservative cities like Jerusalem. Apart from being mostly secular, the city is a mix of attractive, young adults, professionals and families. Part grunge, part beauty, it is a great place to take a stroll and discover street art or grab a cup of coffee and people watch on a Saturday. Public parks and beaches remain open daily and are well-used. 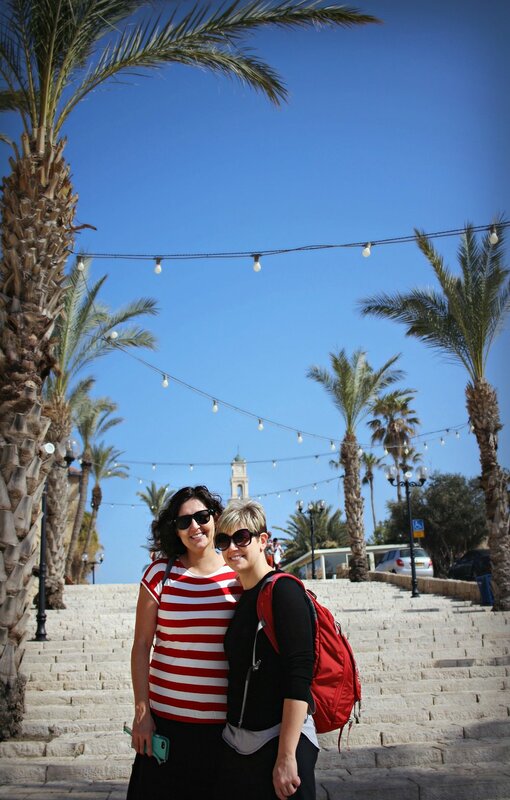 We found great views of the seascape walking along the boardwalk on Shabbat morning to the Old City and port of Jaffa (otherwise known as Yafo in Hebrew), an ancient port—one of the oldest in the world, and one of the oldest parts of Tel Aviv, full of history. 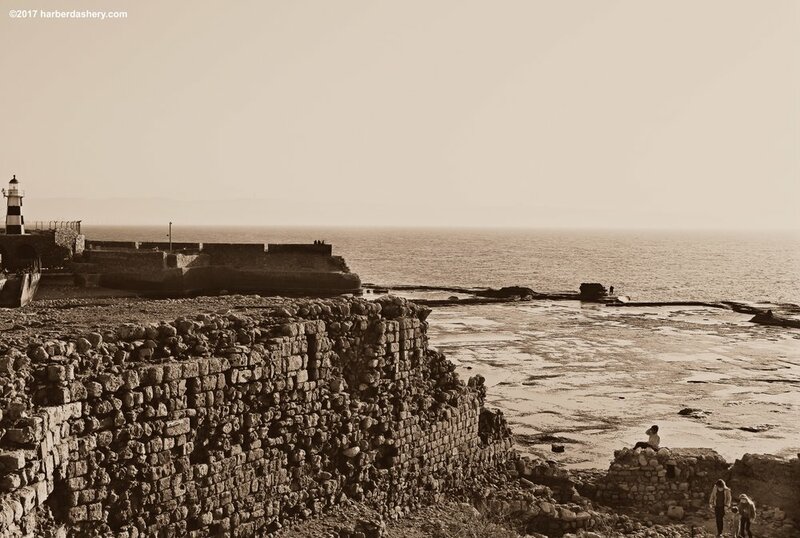 Tales of Jaffa claim it was named after Noah's son Japheth. It is believed he settled there after the Genesis flood. The port also has ties to other biblical stories, such as Jonah and the whale. We walked along the port to Park Midron Yafo to capture a panoramic view of the port, Old Town and Tel Aviv, pictured above. A short walk from Nemal Yafo Street to Segev Street took us through the Old City and a maze of narrow sandstone alleys and cobblestone pathways with small shops and art studios. We stopped at the Wishing Bridge where legend says if you make a wish on a zodiac sign while looking out to the sea, your wish will come true. We then made our way to Kikar Kedumim Street (shown in the photo with the bell tower of St. Peter’s Church peeking through the background). 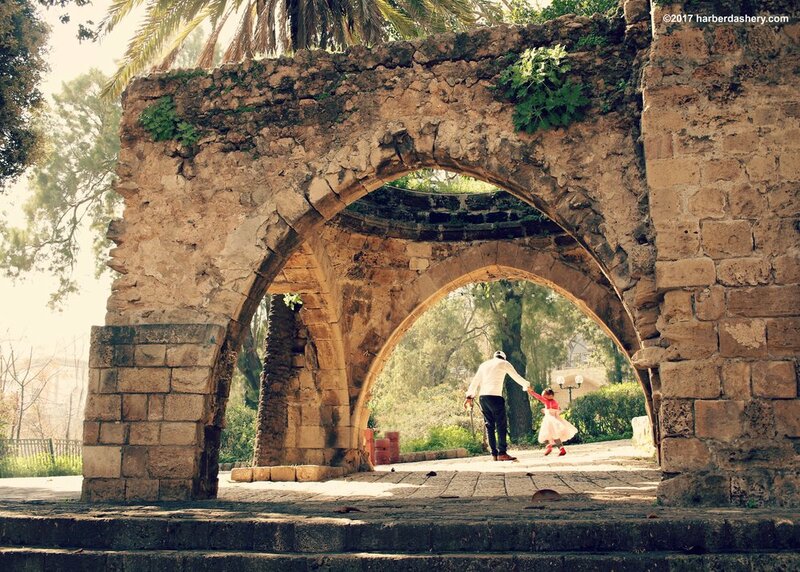 My favorite photographic moment of the day was unintentionally photographing a father and daughter dancing into an archway near the bath house ruins in Abrasha Park, capturing the essence of Shabbat as a time to reconnect with others. After walking the Tel Aviv promenade several miles, we made our way toward Haifa, first driving to visit the historical city of Akko (or Acre). Both are quick commutes from Tel Aviv by car or train, located on Haifa Bay on the northern coast of the Mediterranean Sea. Akko city ruins date back to the Crusader era, and a fortress of remains can be seen in the south-west corner of the Old City along Ha-Hagana Street that once served as the headquarters of the Knights Templar. Most sites in Akko remain open on Shabbat with easy-to-find free parking (free on Shabbat only). 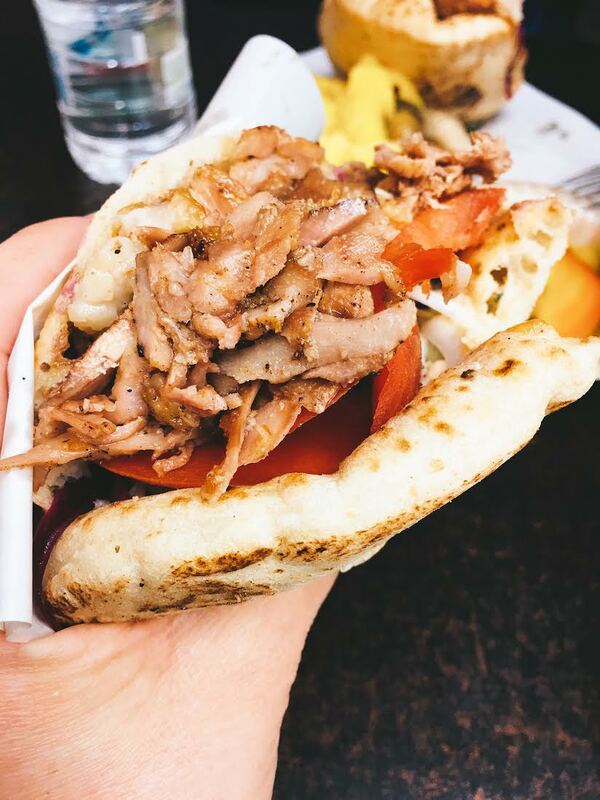 After daylong travel, we retired to Haifa and then to bed after filling our stomachs with shawarma, falafel and gelato at the wonderful shops located on HaNassi Boulevard. We made several return trips back to Tel Aviv during our travels and spent our last evening there after visiting Masada and the Dead Sea—also accessible on Shabbat. Read about other things to do in Tel Aviv here. Additional information about Masada and the Dead Sea will be featured in future blog posts in the next few weeks. This post is a series of posts about travel to Jordan and Israel, from February 24, 2017 to March 5, 2017. They are posted in order of the trip itinerary. Continue reading by jumping to the next post about exploring Haifa in this series. And dash back to this site soon for more. Please also subscribe via email. Contact me here or on Facebook, Twitter or Instagram if you have any questions or comments about your travel or mine.